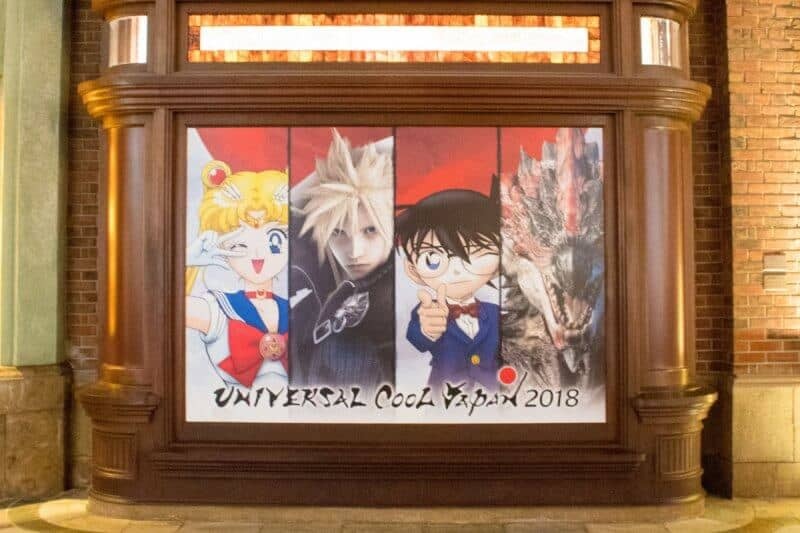 Cool Japan is a seasonal event at Universal Studios Japan in Osaka, which runs January through June. 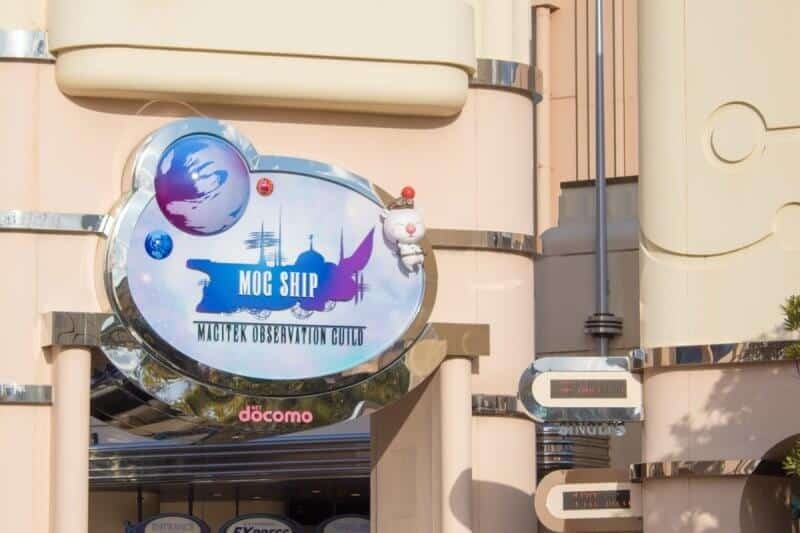 It boasts the biggest names in Japanese Pop Culture and features limited-time merchandise, food, and even attractions. In 2018, Cool Japan features Final Fantasy, Sailor Moon, Monster Hunter, and Conan the Detective. Most of these franchises are recognizable to many outside of Japan, the biggest being Final Fantasy and Sailor Moon. Cool Japan 2018 is on now through June 24, 2018. I’ve had the chance to experience Cool Japan and want to share my tips and advice to make the most out of your visit. 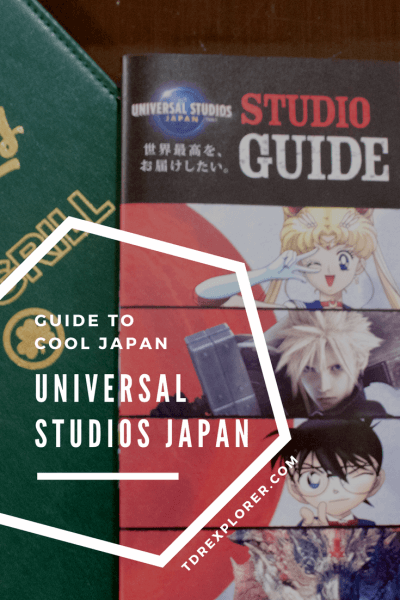 This guide assumes you’ve read our Ultimate Guide to Universal Studios Japan. If you haven’t, I recommend giving that a read first so everything here makes more sense. In earlier years, Cool Japan featured franchises such as Attack on Titan, Resident Evil (known as Biohazard in Japan), and Kyary Pamyu Pamyu (J-pop star). In this guide, you’ll learn how to maximize your experience at Universal Studios Japan and not waste time waiting in long lines. I’ll also give my recommendations on what food items to try. For year-round snacks, read our best snacks at Universal Studios Japan Guide. Each of the four franchises features limited-time attractions. If you want to knock out all these rides with a minimal wait, then I highly recommend getting the Express Pass (don’t forget your park tickets, too). Do this a month in advance to avoid the Express Passes from selling out. Use our special offer code “KLKTDREX” when buying your tickets through our affiliate Klook and save $4 USD off your first order. All these attractions are in the Hollywood area of the park. 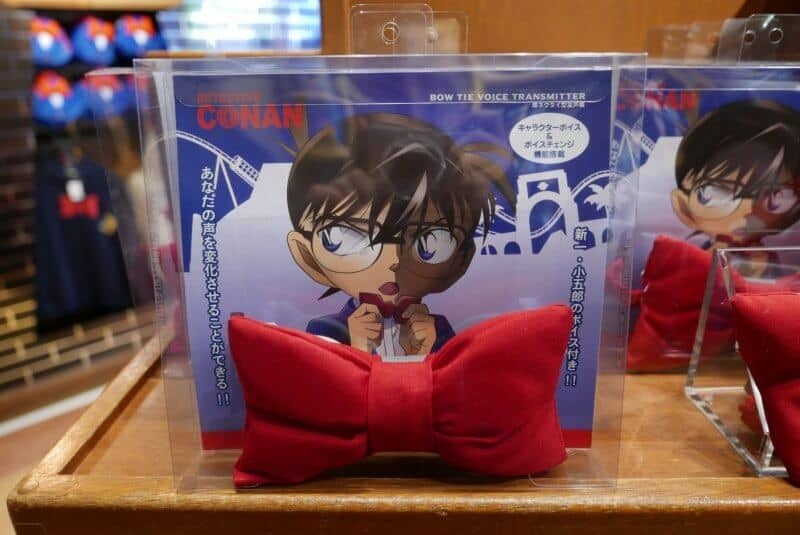 Conan the Detective is the only attraction that costs extra and isn’t included in your park admission. Final Fantasy, Sailor Moon, and Monster Hunter are included at no extra cost. 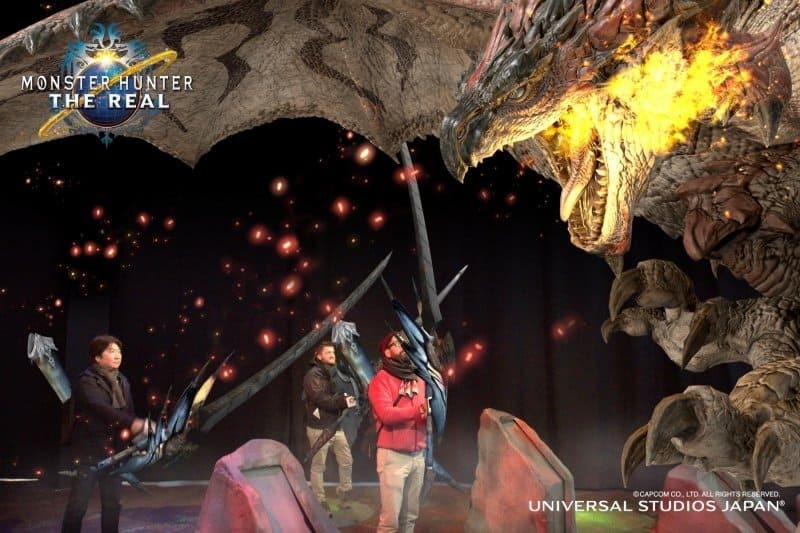 This VR roller coaster takes you through the world of Final Fantasy. You’ll climb aboard a ship which bounces between the different worlds within Final Fantasy with the power of crystals. The roller coaster itself is normal Space Fantasy: The Ride, but with an overlay. The entire attraction is themed inside-out and puts a smile on your face, especially if you’re a fan. You’re put into a small vehicle (sits two people) and are given a VR helmet to put on. 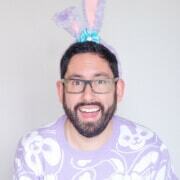 If you’re wearing glasses, you’re given a hard case to put them in (you can’t wear glasses with the helmet) and slings are attached around your shoulder. You’re able to adjust the viewfinder to help put it in focus. If you’re prone to motion sickness, this will definitely make you a bit disoriented and possibly sick. I am one that gets motion sick quite easily. I was fine for a majority of the ride, but near the end, I felt myself getting sick. Thankfully, it was over quickly after and I didn’t throw up my Cactuar Churrito. Besides the motion sickness, the attraction is worth riding at least once. Use the single rider line if you aren’t using an Express Pass. Gear up and choose your weapon to fight off larger-than-life monsters. You’re given a block that is attached to your hand and this is your weapon. During the tutorial period, it’s explained how the position of the block selects a different weapon for you to use. You and your party are put into a large room and are asked to stand within specific circles on the floor. Then, on the large screen in the front, you’re able to see yourself, and that’s when you choose your weapon. Once everyone in the party has selected their weapon, a monster comes out on the screen. While you’re swinging your weapon, your photo is taken. After about 3-4 rounds, it’s all over. You’re then given a free download code to get all your photos. In short, it’s a glorified photo-op with fun AR technology. Fans of the franchise will definitely want to check this one out. If you’re not a fan, it’s still a bit of fun to swing an oversized sword in the air, even if it’s virtual. I am not overly familiar with Conan the Detective, so we gave all of these a pass. But here’s a quick overview of what’s happening for Cool Japan 2018. “Detective Conan: The Escape” is an escape room and is an extra cost (it’s not included in your park ticket like the other Cool Japan attractions). There’s also the Detective Conan Mystery Challenge that takes you around the park to solve clues (perfect for younger Explorers). 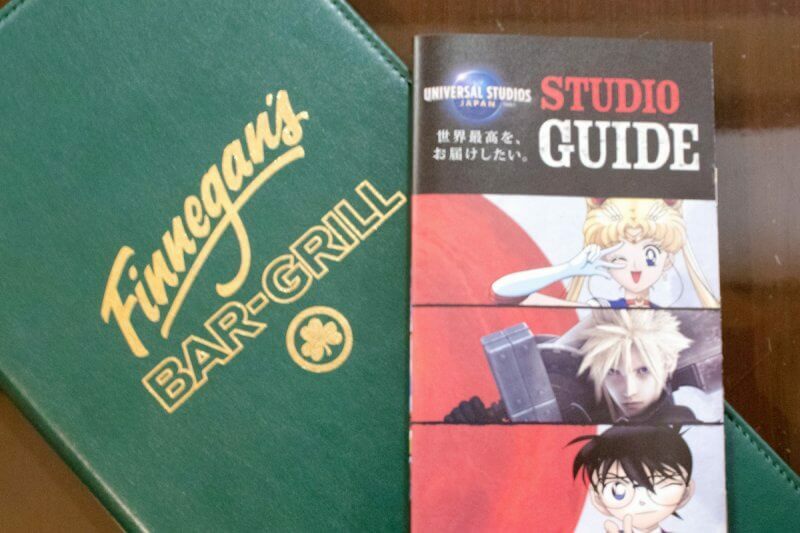 For a different experience, you’re able to try the “Detective Conan Mystery Restaurant,” where you attempt to solve a murder while enjoying your meal. During my visit, this wasn’t open yet (it opened in March) and I never got to experience it. Everyone that I ask says the attraction is worth watching. Make sure you check the show schedule (it’ll be on the park map). If an event doesn’t have limited-time merchandise, can you really call it an event? 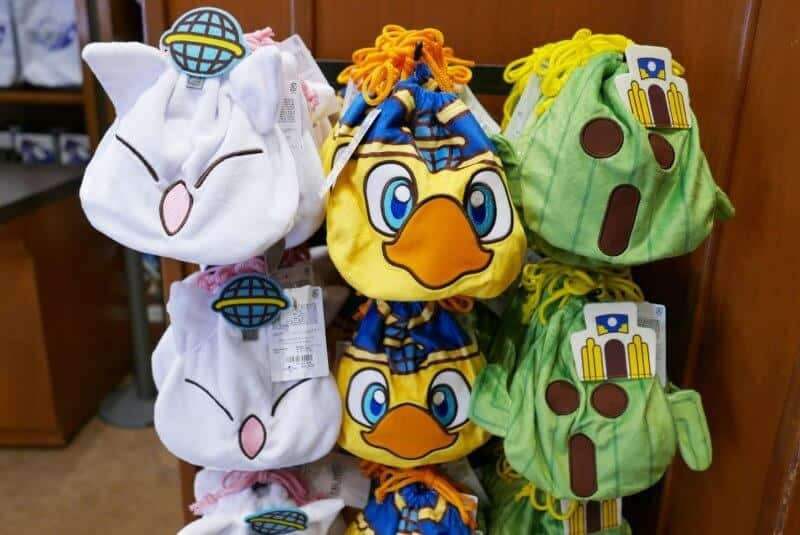 Much like Tokyo Disney Resort, the seasonal merchandise is spot on and makes your wallet weep. I’ll let the photos speak for themselves. We have a full list of items with photos in a separate post (including Sailor Moon). Don’t worry, there’s a Chocobo and Sailor Moon Popcorn bucket, too. I am a Final Fantasy fan, so that merchandise was my favourite. I ended up picking up the clear folder, pouch, and pass case (holds your Suica card). The logo is my absolute favourite, as it’s in line with the logos created for the Final Fantasy games. 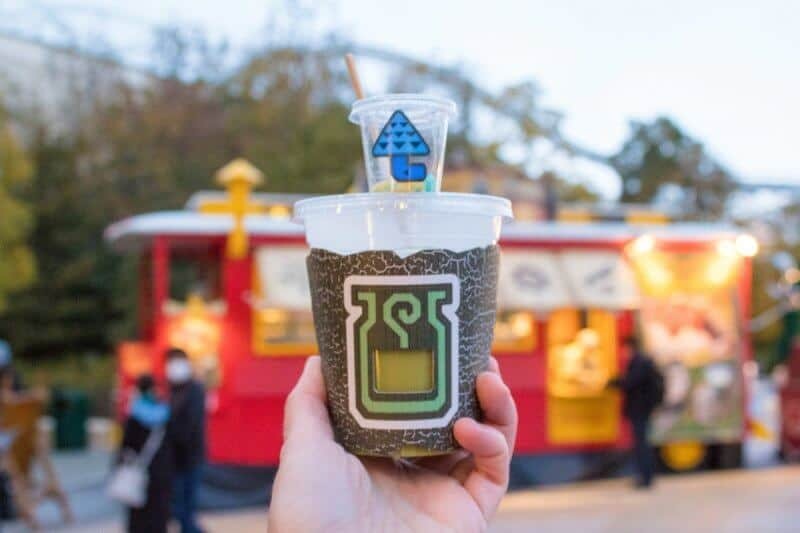 Seasonal events in theme parks within Japan always have cute and deliciously themed food. Cool Japan is no different and offers some wonderful food themed to the franchises. Monster Hunter has an oversized chicken leg and a stamina drink. I didn’t bother with the “Well-done Steak The Great” because of the ¥1,980 ($18USD) price tag — although it was a gigantic piece of meat on the bone. The stamina drink was Hot Matcha Tea Latte with Honey and came with a smaller cup with candies inside. The candies are pop rocks, and once you pour it into your latte, it bubbles like a real potion. I thought that was incredibly clever. 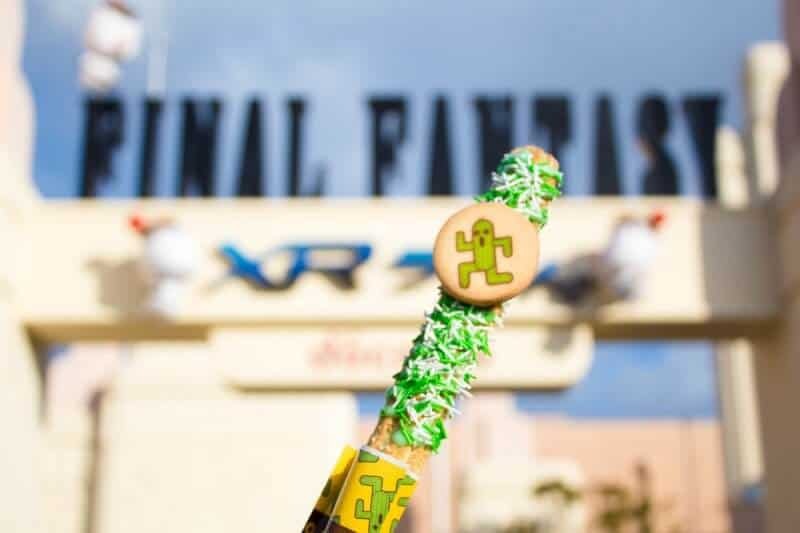 There’s not much for Final Fantasy-themed food except the Cactuar “Thousand Needles” Churrito. I have heard mixed answers about what the flavour actually is (melon, green apple, etc). I never thought to ask what it was since it just tastes like a ton of sugar anyway, with a hint of something. There’s also the cute Chocobo Popcorn Bucket that talks! Over at Beverly Hills Boulangerie, you’ll find a selection of Sailor Moon desserts, set meal, and even a cake. You’ll want to head there for some Instagram-worthy sweets. 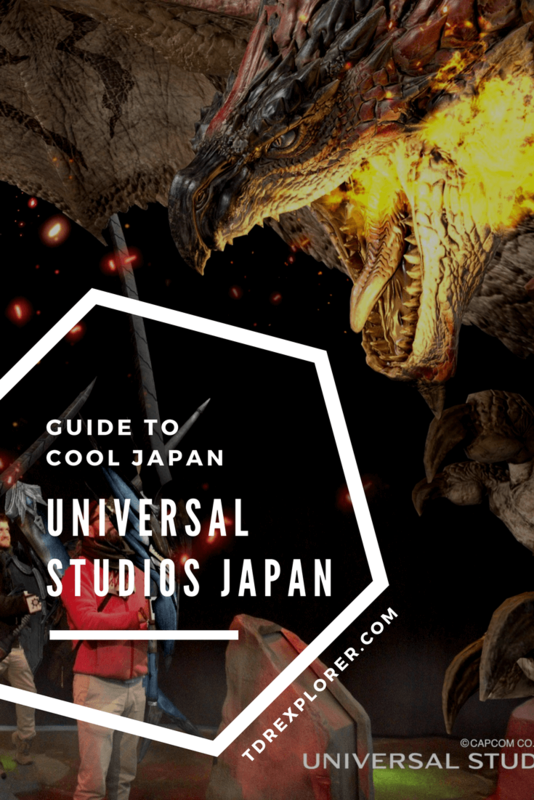 Pair these tips with the ones in our Ultimate Guide to Universal Studios Japan and you’ll be more than ready to tackle the day. While the name “Cool Japan” in itself is a bit corny, the event itself is far from it. While Tokyo Disney Resort does extremely well with its seasonal events I absolutely love Cool Japan at Universal Studios Japan. They are able to feature franchises that appeal to a wide audience. If you’re able to visit, I can’t recommend this enough. 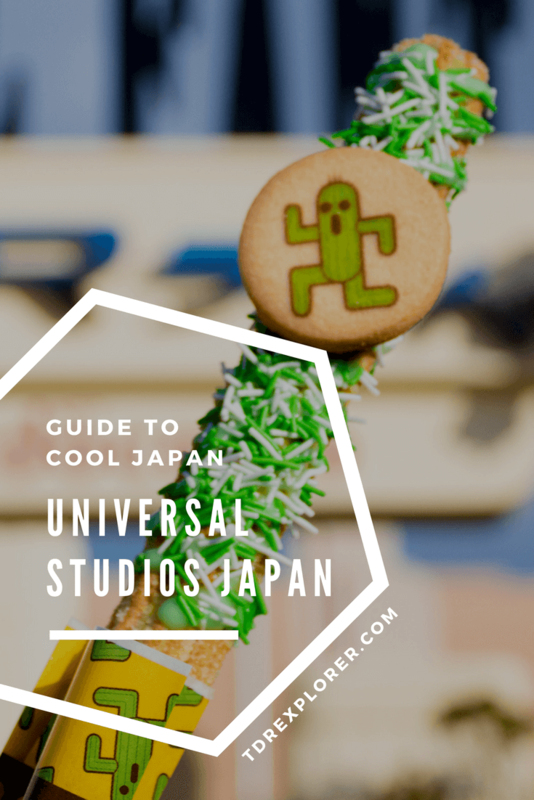 Don’t forget to read our Ultimate Guide to Universal Studios Japan and our top picks for best snacks at the park. 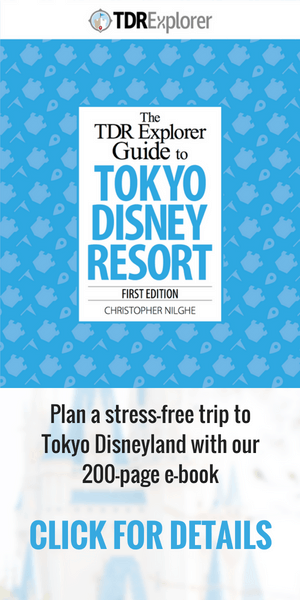 Also, our practical tips for Japan makes your life easier while traveling through the country! For full details on Cool Japan 2018, please check out the official website.